No Kill Conference 2011 brought hundreds of animal lovers from 40 states and nine countries to the George Washington School of Law in Washington D.C. The most successful shelter directors, animal lawyers, and shelter reformers nationwide shared insights and strategies to end the systematic killing of animals in our nations pounds and shelters. The attendees heard from directors of open admission shelters with save rates of better than 97%. They heard from lawyers who have passed laws making it illegal for shelters to kill animals in a wide variety of contexts and who have successfully saved the lives of animals who shelters were determined to kill. And they heard from reformers who have succeeded in passing laws to end the needless killing of animals in their community. In the keynote address, after a brief introduction welcoming attendees, sharing our movement’s successes, describing the increase in No Kill communities throughout the United States and indeed the world, and laying out the vision of the conference, I talked about the power of the individual…. A 7-week-old kitten weighs about a pound; [his] veins are the size of vermicelli. So if you’re administering a lethal dose of sodium pentobarbital, an anesthetic agent blue as a summer sky, you’ll probably inject directly into [his] round, spotted belly. If you have five cages of kittens to kill this morning, you don’t have time to go looking for slippery little veins. A kitten with a hand gripping the scruff of [his] neck and a needle in [his] belly will squeal in terror, but once you’ve pulled out the needle and placed [him] back into a cage with [his] siblings, he will shake [his] head and start to get on with [his] kittenish business. Then [he] starts to look woozy, and begins to stumble around. [He] licks [his] lips, tasting the chemical absorbed into [his] system. Soon, [he] becomes too sedated to stand. The animal collapses, and when [his] lungs become too sedated to inflate, [he] stops breathing. That was the world of Dorinda Pulliam, the then-pound director. During her tenure, she killed over 100,000 animals, tens of thousands a year, hundreds per month, dozens per day, one animal roughly every 12 minutes the shelter was open to the public. And she did so after refusing to implement common sense alternatives to killing. She refused to stop killing even when a state inspection report noted that the shelter routinely had hundreds of empty cages. She argued to the press that she did not have time to focus on adoptions, did not want to do offsite adoptions, did not trust the public enough to foster those kittens she killed. And she complained that too many people were calling to adopt and she and her staff were too busy to answer their calls. That was also the world of the ASPCA which not only backed, defended, and promoted Pulliam, but worked to ensure that progress would not be made. As Pulliam and her team were killing them in the back, the ASPCA was telling anyone who would listen up front that increasing adoptions was a waste of time, that efforts to save more of them would not be successful, that the animals were not worthy of being saved. In their own words: “the problem is not getting adopters to the shelter, but rather, having enough desirable and placeable animals to choose from.” Not to kill them was “warehousing” animals. There was no foster care program; no offsite adoption program; no progressive director; no No Kill Equation. Just a lot of excuses and a lot of killing: 14,304 animals in one year alone. Today, Austin seeks our foster parents. It embraces the community. And it has celebrated six months of better than 90% save rates. How did this happen? And what does it mean for you in your hometown? Everywhere there is systematic killing; there are animal lovers who need to take up the fight if they are going to bring that killing to an end. Because that is what the situation calls for. And that is what it takes to change the status quo. It took a fight in Austin, Texas. The finger of blame had to be pointed where it belonged. The public needed to be informed. A political campaign had to be waged. Legislation had to be passed. And the director needed to be replaced. And in 2010, they prevailed. You can to do the same. Don’t go looking for a savior. Never utter the phrase, “Someone has to do something.” That person is you. In Austin, it started when individuals made the choice that enough was enough. In the end, a handful of people chose to lead their community out of darkness. And they changed everything. You can, too, but only if you answer the call. William Shakespeare once wrote that, “Some are born great, some achieve greatness, and some have greatness thrust upon them.” There’s a fourth. Some choose to be great. It is, in the end, a choice. Many great people weren’t destined for greatness. There was nothing in their upbringing that suggested it. There was nothing in their vocation that required it. They might have lived obscure lives. But they made a choice to do great things. Two roads diverge, always. There is always a choice before you. When you choose to take the one less traveled, it will make all the difference. Because, in the end, whether animals live or die, whether Austin’s emerging story becomes the story of your community depends on the same thing great events in history always depend on: One person. One moment. One decision. 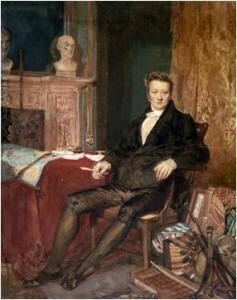 Thomas Clarkson was the late 18th/early 19th Century English abolitionist who fought to end the British slave trade. Not only did he create what is considered the first human rights movement in history, but he succeeded in ending the scourge of slave trading in the British Empire during his lifetime. He also pioneered all the tools of social change we use today: The political book tour, the consumer boycott, letter writing campaigns to legislators, newsletters to keep the public informed. Every time that Fix Austin does a legislative report card, they have Thomas Clarkson to thank. Every time that Fix Austin does an investigative report, they have Thomas Clarkson to thank. For every flyer written for a cause; for every button announcing your position; for every slogan or catch phrase; for every poster in a window issuing a call to action; we have Thomas Clarkson to thank. In the pantheon of great individuals, Thomas Clarkson deserves a seat at the table; if not at its head. And it all started with a single moment. As a 25-year old student committed not to ending the slave trade, but to becoming a preacher, he was assigned an essay, “Is it lawful to enslave the unconsenting?” “I had no motive but that which other young men in the University had on such occasions,” wrote Clarkson. “Namely, the wish of obtaining literary honor.” But as he researched the issue, he was overcome with horror at what he discovered. On his way to London one afternoon, he sat down on the side of the road. I sat down disconsolate on the turf by the roadside… Here a thought came into my mind… that if the contents of the essay were true, it was time some person should see these calamities to an end. As the answer as to whom that person should be suddenly became clear to Clarkson: the human rights movement was born. It was June of 1785, and from that day forward, Clarkson spent his life working and ultimately succeeding at abolishing the British slave trade. One person. One moment. One decision. Elizabeth Cady Stanton is a pioneer of the women’s rights movement in the U.S. She was the first to suggest that women should have the right to vote, even when other women activists thought that was going too far. For Stanton, voting rights were the basis for fixing all the other inequalities women faced. While most people remember Susan B. Anthony, who was her best friend and a remarkable woman in her own right, the speeches that Anthony gave were in fact often written or conceived by Elizabeth Cady Stanton. Her father’s comment was a challenge to Elizabeth. At that moment, she was determined that she would not only be the equal of any man, but she would create a society that would foster, rather than hinder, female accomplishment. 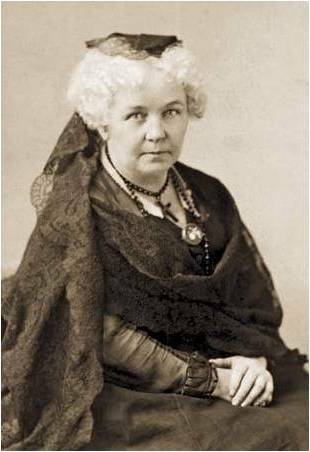 Every woman who works outside the home; every woman who votes; every woman in elected office; every female CEO; and every woman who lives life on her own terms does so thanks to Elizabeth Cady Stanton. 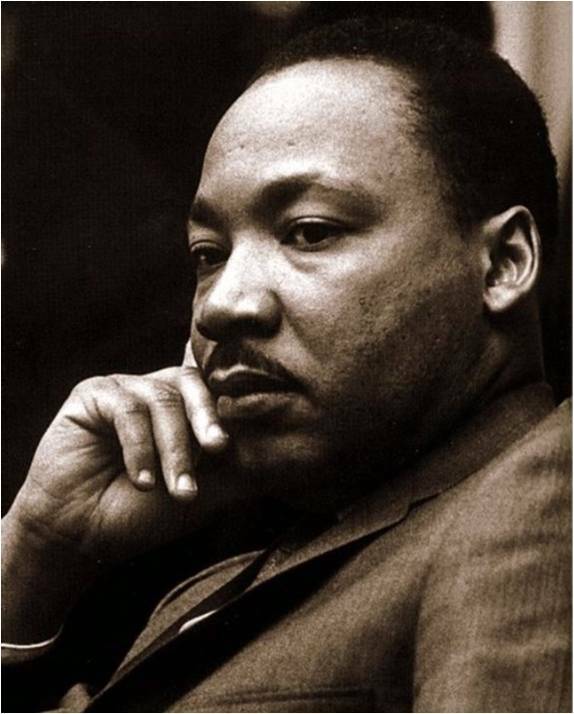 Martin Luther King Jr. is a man who needs no introduction. Because of him, we have the Civil Rights Act. Because of him, we have legal equality. Because of him, we live in a nation where people are not judged by the color of their skin but by the content of their character. Though possessed by fear and plagued by feelings of inadequacy, he was in. The rest, as they say, is history. 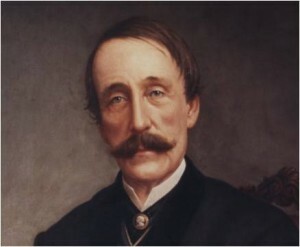 Henry Bergh will forever be remembered as the father of the animal rights movement. He founded the first SPCA in the United States. He oversaw the passage of the nation’s first anti-cruelty law and dedicated his days and night to enforcing it: over 12,000 cases in his lifetime. He was also the first to challenge the round up and killing of stray dogs. Every animal who has legal protection by law has Henry Bergh to thank. Every organization dedicated to protecting the lives and rights of animals exists because of Henry Bergh. He awakened the collective public consciousness to the welfare and rights of animals and his legacy leads straight to the No Kill movement. But as the wealthy son of a NYC shipbuilder in the middle of the 19th Century, Bergh’s ambition was not to save animals, but to become a diplomat: a dream he realized when President Abraham Lincoln appointed him to the court of the Czar in St. Petersburg, Russia. Then one day, during a ride through the city, Bergh came across a Russian peasant beating his donkey. Bergh ordered the man to stop; which he did, in deference to the wealthy, well-dressed gentleman of official position. It is tempting to look at these remarkable men and women in history and assume they were always destined for greatness. But they were not. They became great through the decisions that they made. They were ordinary people who did extraordinary things because they made a choice to do so. A choice others have also made. In Cabarrus County, North Carolina, Jeff Daniel’s dog, Bella, was shot and killed by police. He chose that moment not just to seek Justice for Bella, but to end the killing in his community. And a shelter that didn’t make a single animal available for adoption now saves more than it kills. And this year, it passed a No Kill resolution to end the killing altogether. In Shelbyville, Kentucky, Kelly Jedlicki made a decision one day that she would end the killing in her local shelter. Today, Shelby County celebrates its 3rd No Kill year. In Austin, Texas, Ryan Clinton remembers the moment he decided to make No Kill a reality in his home town, too. Everywhere there is success; there is one person, one moment, and one decision that made it so. Whether you run an animal shelter; whether you are a rescuer, or simply a concerned animal lover, the change in your community can start with you. I am not a religious person, but that does not mean I am a man without faith. The faith I hold is in the remarkable capacity of my fellow humans for compassion and for change. As a species, we aspire to do better, to be better. We want to leave the darkness of the cave and come into the light. And when someone comes along who illuminates a path towards that opening, history vindicates us, because we follow them into a brighter future. In your community, that “someone” can be you. I understand that my love for animals and your love for animals are not so unique as we’ve been led to believe. It resides in most people. Most people want to build a better world for animals and if you show them how and give them the means to do so, you can succeed. In our movement, the battle is not against the many, but the few; those with a vested interest in maintaining the status quo. Right now, a small handful of people—the regressive directors in our nation’s kill shelters and the heads of the large, national organizations—continue to hold us back. They hold us back from the great success we could achieve and the millions of lives we could save if we can find the courage and the determination to stand up to them in each of our hometowns; loud, uncompromising voices, demanding changes that would put an end to the ruling power of the pretenders in our midst who kill and allow others to kill the animals they are pledged to protect. In their desperation to remain in power, they will fight you, attack you, and ridicule you, even as the march of history is sweeping them aside. But you will not be alone. The rest of us will support you. We will have your back. And along with what the speakers have to teach you, we’ve have created the maps and tools you need to guide your way: a primer on political advocacy; a model shelter reform law; a manual on introducing and passing humane legislation. They are all in the conference bags you have been given. And there is something else in there, too. Every single one of you was given a mirror. Whenever you make the choice—it could be right now; it could be tonight in the privacy of your hotel room; or when you take that first step off the plane that delivers you home after the conference—take it out, hold it in your hand and look into the face of the No Kill leader of tomorrow. One person. One moment. One decision. The No Kill revolution starts with you.